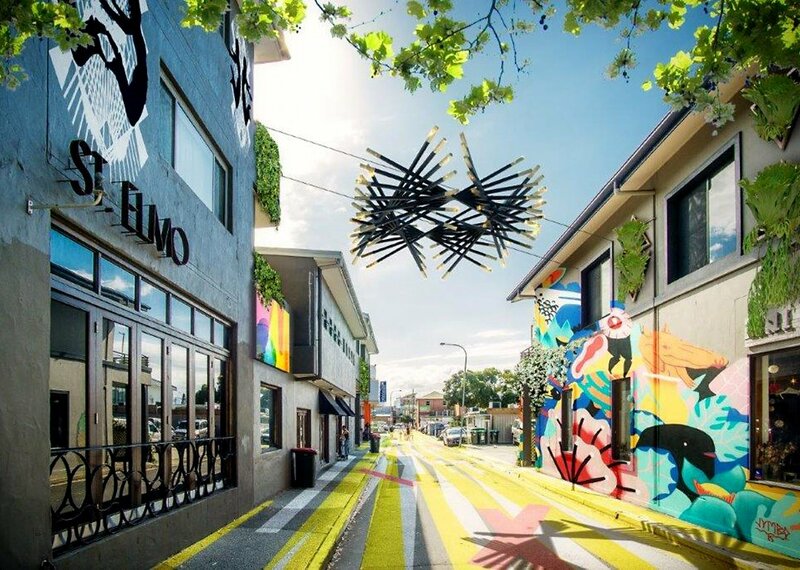 As part of the Byron Bay master planning, Elysium 2481 brings together a collaboration of multi-artform artists to permanently transform a key Byron Bay Laneway – Lateen Lane. The suspended woven artwork Portal was envisioned to mark a distinctive entry experience to the laneway from Fletcher Street. Concept Imagery by Lucid Metal for Creative Road featuring artwork concepts by Christina Waterson, Sonia van de Haar, and Andrew Dennis.